Five Canadian men are Paralympic gold medallists (Anderson, Eng, Hedges, Jassman and Miller), while Anderson and Eng also won gold at the 2006 World Championships. 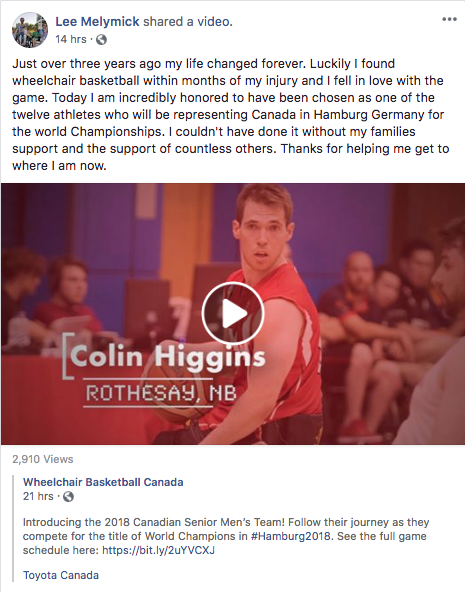 Four male athletes (Dallaire, Higgins, Melymick, and Ostepchuk) are making their debut at a major international tournament. While he has appeared as an assistant coach, Matteo Feriani is making his debut as a head coach at a major event. The youngest player on the men’s roster is Garrett Ostepchuk who will be 18-years-old when competition starts. Six provinces are represented on the men’s team (Alta., B.C., N.B., Ont., Sask., Que.) with three athletes each from Ontario and Quebec, two from Saskatchewan and Alberta, and one from British Columbia and New Brunswick. David Eng and Bo Hedges are co-captains. Anderson, one of the best players to ever play the game, is returning to major international competition for the first time since the London 2012 Paralympic Games following a hiatus from the Canadian national team to pursue music and other interests. The Canadian women have reached the podium at every World Championship (seven consecutive) since the inaugural event in 1990, winning gold five times and bronze twice. 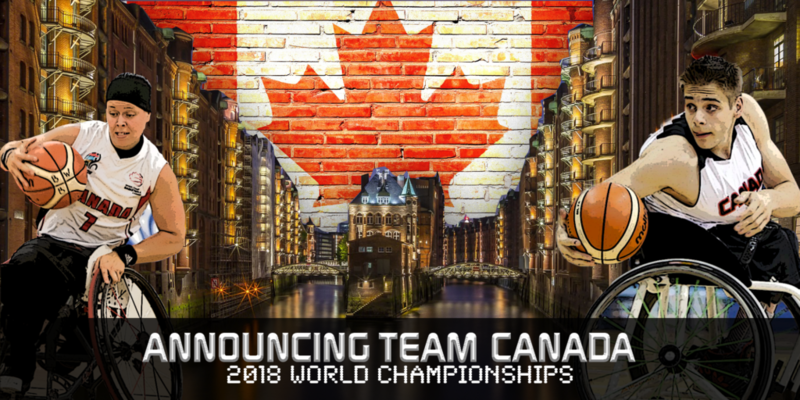 Canada won the last World Championship on home soil in 2014 and the 2018 squad features five returning athletes (Hawtin, Jacques, Ouellet, Steeves, and Young). Five female athletes (Bérubé, Dandeneau, Lai, Llanes, and Tessier) are making their debut at a major international tournament, along with head coach Marc Antoine Ducharme. The youngest player on the women’s roster is Puisand Lai who will be 18-years-old when she makes her national team debut. Five provinces are represented on the women’s team (Alta, B.C., Ont., Sask., Que.) with five hailing from Quebec, three from Ontario, two from British Columbia, and one each from Alberta and Saskatchewan. Cindy Ouellet is a multisport athlete who has competed at four Paralympic Games (three times at the Summer Games competing in wheelchair basketball, and most recently at the PyeongChang 2018 Winter Games competing in Para Nordic).